22 January 2008: Tehran’s popular mayor has picked up plaudits across the board for his modernisation of the capital’s infrastructure and public services, as well as angered President Ahmadinejad with his unabating rivalry. Mohammad Ghalibaf presents himself as a competent moderate, having secured election twice in 2005 and 2007, but critics at home and abroad point to his record in the area of human rights as a former police chief. 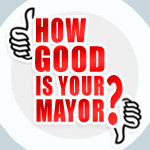 The mayor has been short-listed for the 2008 World Mayor Award. Ghalibaf was born in 1961, in Khorosan northwestern Iran, to a Kurdish father and Persian mother, somewhat reflecting the diverse make up of the border province. Aged 22, he became engaged in the Iran-Iraq war as a Revolutionary Guard, after which he trained as an air force pilot and was quickly promoted to the rank of commander by Chief Commander Mohsen Razaee (who has since been implicated by Interpol in the 1994 bombing of the Jewish cultural centre in Buenos Aires). He obtained an MA in 1996 and a PhD in 2001, both in political geography, from the Tarbiat Modares University of Tehran. However, a former professor of Ghalibaf’s has since claimed that he attended no classes and sat no examinations, with staff required to matriculate him automatically. In the aftermath of the 1999 student protests in Tehran, in which several students died and hundreds more were injured at the hands of the police and allied plain clothes units, General Hedeyat Lotfian was removed from his post as chief of police and replaced by Ghalibaf, appointed by current Iranian Supreme Leader Ali Khamenei. Ghalibaf’s stint as chief of police is remembered for his modernising zeal, with the introduction of the 110 emergency number and the overhaul of the police forces, as well as the introduction of new technology and policing methods. While Ghalibaf was praised for his handling of the subsequent 2003 student protests, which passed with no loss of life, the introduction of a new fleet of Mercedes saloons and Toyota Land Cruiser SUVs has become more associated in the minds of Tehranis with the elite police units which enforce public morality on the streets of the capital, often via brutal means. As a means to expedite justice, summary punishments are now issued, such as unmarried couples being ordered to marry. 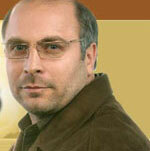 Ghalibaf was also responsible for ordering a crackdown on journalists, bloggers and intellectuals in the capital. The police were accused of complicity in the deaths of seven people when the exits to the Azadi stadium were blocked during an over-capacity international football match, also under Ghalibaf’s tenure in March 2005. Ghalibaf resigned as chief of police in April 2005 in order to contest that year’s presidential election. Though Iran hardly adheres to democratic norms, electoral outcomes have become less predictable in recent years owing to the crowded political scene and the dense fog of shifting factional and clerical support. While the reformist front-runner and former president Rafsanjani was able to poll first in the first round of voting, an unprecedented run-off was held owing to the field of seven yielding a divided vote and close finish. The second-placed then mayor of Tehran, the hardliner Ahmadinejad was able to overtake Rafsanjani in the run off, with many voters viewing the frontrunner as something as a wealthy elitist against the more populist and welfarist Ahmadinejad. Ghalibaf however polled fifth, though his emergence from unknown to serious contender marked him out as a future leader, not least on account of his younger age. Ghalibaf is regarded as something of an operator, with his subtle ploughing through a heavily contested field by benefiting from rumours that he had the private backing of the Supreme Leader and that conservatives were bankrolling his campaign, while claiming to be above clerical maneuvering and standing as a competent administrator and military leader. Der Spiegel likened him to an “Iranian Bill Clinton” in its coverage of the election. The Ahmadinejad administration (2003-2005), the second since the introduction of local elections in Iran as part of President Khatami’s reforms, was noted for its reversal of the policies introduced by his two reformist predecessors and harsher moral climate in the capital, with the reintroduction of public segregation between men and women. To some extent, Ghalibaf has followed in this vein (he is regarded as a strict Muslim, for instance not allowing his wife to shake the hands of male strangers), as has been noted with his own policies as police chief during this era. He has not enforced the strictest of Islamic dress codes on female staff however and does not share his predecessor’s noted disdain for cinema, allowing their construction. But observers of Iranian politics are quick to point out Ghalibaf’s deft maneuvering and mercurial style, his signature claim to provide a ‘balancing act’ between the conservatism of the Islamic state’s organs and the reformist aspirations of the people, the unchecked brutalism of the police versus the unruly student body. While beaten by Ahmadinejad in the June presidential poll, Ghalibaf was able to inherit the Tehran mayoralty from him with the Tehran City Council electing him to the post in September 2005, though on an 8-7 vote margin. The city council, elected in 2003 was dominated by Ahmadinejad’s Alliance of Builders of Iran faction, but in 2007 was replaced by a body divided between reformists and conservatives allied to either Ahmadinejad or Ghalibaf. Ghalibaf was re-elected by the city council in May 2007, a predictable event given his popularity and record of delivery, though the Ahmadinejad government had lobbied aggressively for his defenestration. Two years on from Ahmadinejad’s elevation to the Iranian presidency and Ghalibaf’s assumption of the mayoral post in Tehran, Ghalibaf points to his energetic record of public service reform, with the introduction of 380 neighbourhood councils in the capital and the use of more private sector involvement in new infrastructure projects. The mayor brims with pride when he speaks of how the city has introduced more transparency and accountability into the budgeting process and achieved higher tax revenues though incentives. He is also a keen student of other metro areas around the world, actively investing in monitoring innovation in traffic management and public transport. But on his future ambitions he remains reticent, with a hostile but weakened president sensing his potential threat, not least given Ahmadinejad’s own use of the Tehran mayoralty as a political springboard and Rafsanjani’s recent shift into the clerical sphere as head of the Iran’s supreme religious council.